I was commissioned by Condé Nast to do some illustrations for their THEM brand. 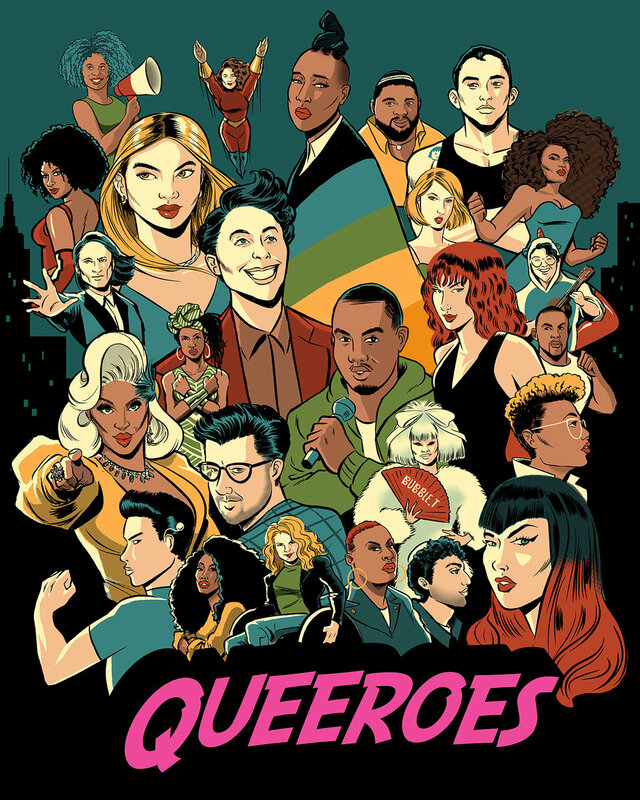 The illustration would serve as the key visual for their first ever QUEEROES Awards Show, honoring the most influential LGBTQ+ Community members of 2017-2018. This project took 1 week to complete. Before I even got the list of the honorees, I got to work producing thumbnails. The thumbnails help me figure out the composition and fix any errors before we get any further. My initial thumbnail showed everyone flying, leaping, jumping - y'know typical superhero stuff! It was scrapped and the direction went more towards an epic movie poster, a la Drew Struzan's iconic 80's style - but with a superhero flair. 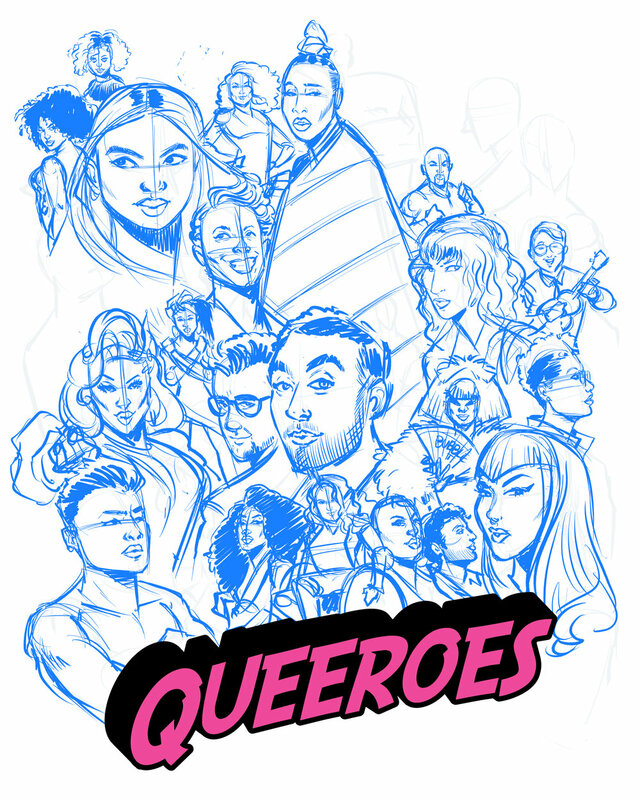 Next step was to create a rough sketch featuring the faces of the honorees. I was familiar with a few of the names, but the majority were all new to me. I spent a few hours gathering reference photos, during that phase I got to learn a lot about them and their accomplishments. So many amazing people! Final step was to ink and color everyone. To help unite everyone and create a sense of cohesion, I used a limited-color palette. Halftones and simple cross-hatching help to evoke the feel of Golden age comics. The finished illustration was shared as giant posters and given to the honorees at the event. They also shared very thoughtful articles on each honoree, which you can read on their site. It was amazing to work on this and I am grateful to be now only a few degrees away from such inspirational people.